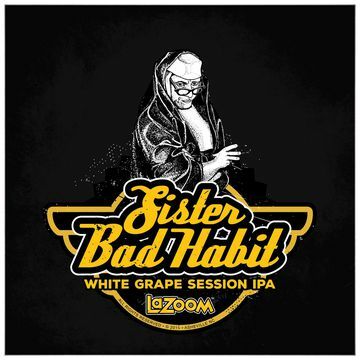 Asheville Brewing Company’s 2018 Sister Bad Habit Beer is a session IPA brewed with white grape juice. 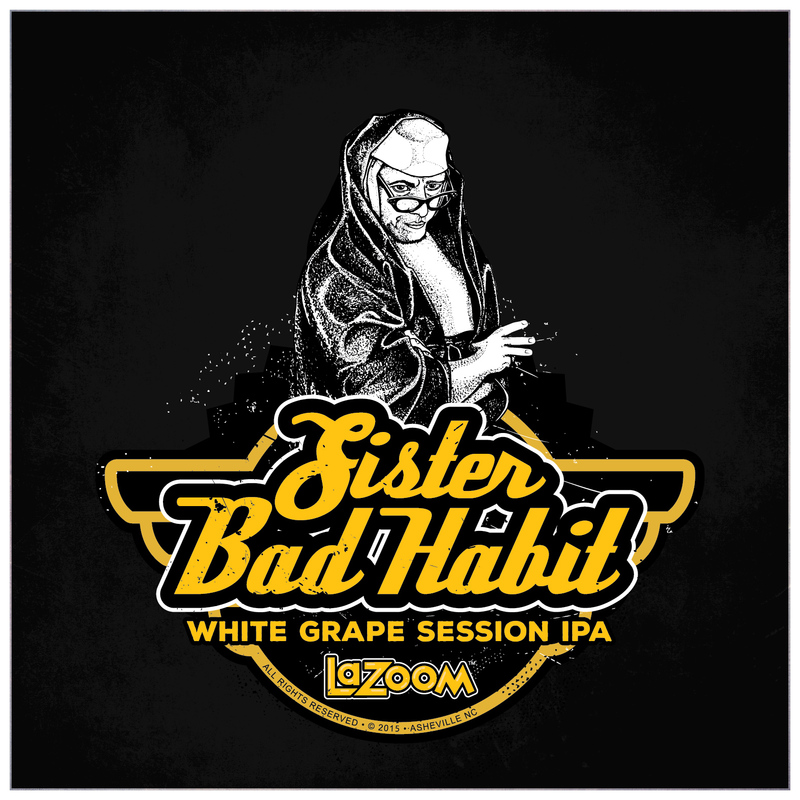 The fourth annual release of this special beer celebrates our favorite LaZoom character–Sister Bad Habit. 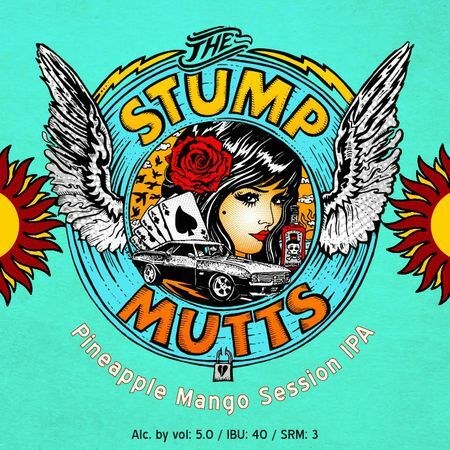 This slightly sweet, easy-drinking beer finishes dry, with lots of fruity aroma along the way. Sister Bad Habit will be released on draft at both Asheville Brewing’s North Asheville and downtown brew pubs at 5 p.m. on Thursday, May 17. 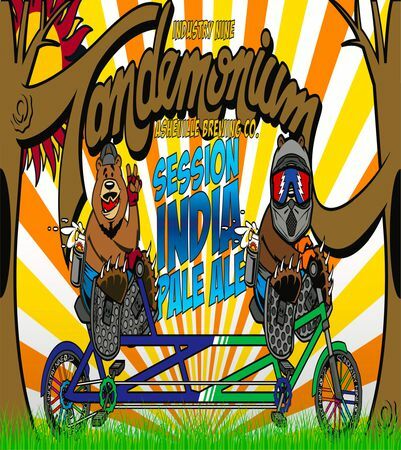 That same evening, look for a LaZoom bus filled with brewers and friends of the brewery–all dressed in nun habits.